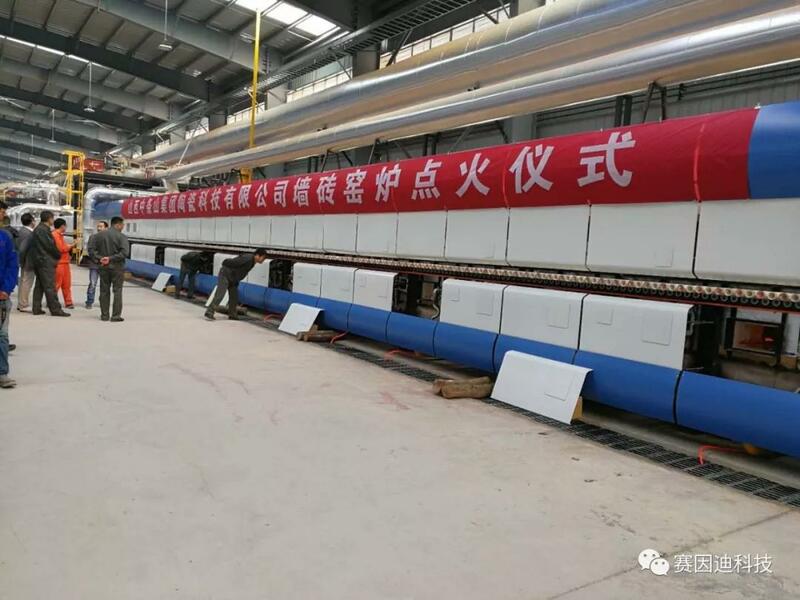 On Oct 16, 2018, the wall tile kiln ignition ceremony was successfully held in Shanxi Zhongtiaoshan Ceramic (ZTS ceramic for short) in Shanxi Province, China. 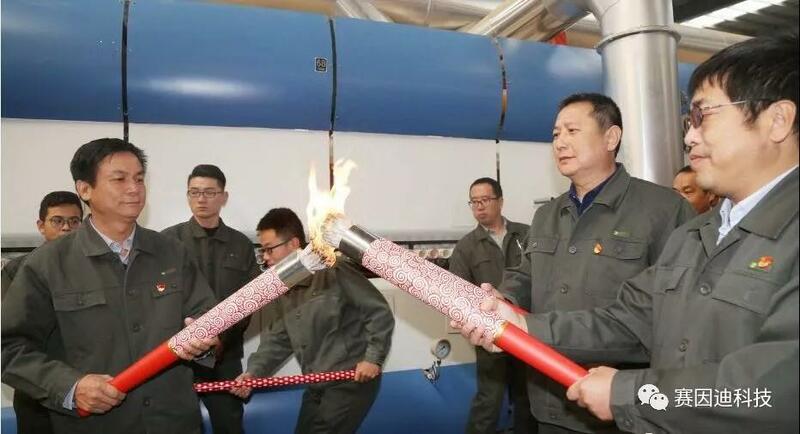 It marks the completion of the wall tile manufacturing line for comprehensive utilization of tailings of Zhongtiaoshan Group (ZTS Group for short) and the start of the trial production. 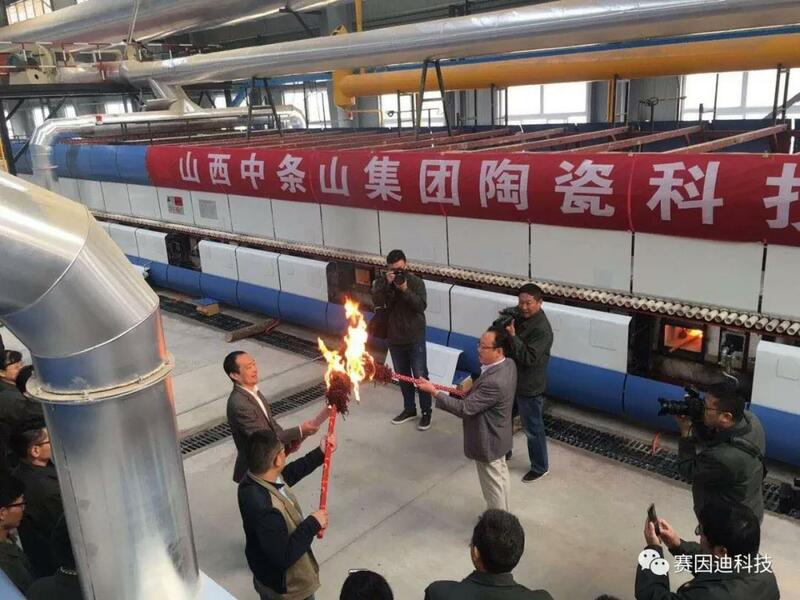 As a new project highly advocated and supported by the country, ZTS Ceramichas been utilizing the tailings after copper separation and turn them into wall tiles, floor tiles and other quality ceramic products.The project conforms to the national strategy of energy-saving and environmental protection for the comprehensive utilization of industrial solid wastes and the sustainable development of the society. 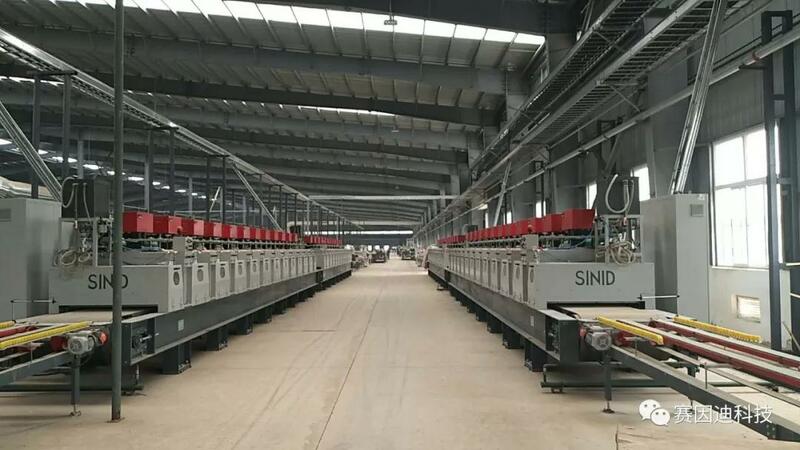 As an excellent equipment manufacturers, in the ceramic industry, Sinid has been dedicated to boost the building ceramic industry's transforming with its innovation and facilities. 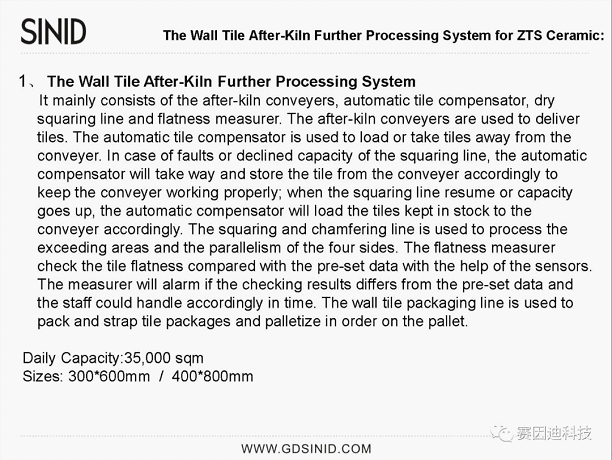 Sinid has been offering the ZTS Ceramic the whole after-kiln solution, which includes one wall tile and one GVT line. 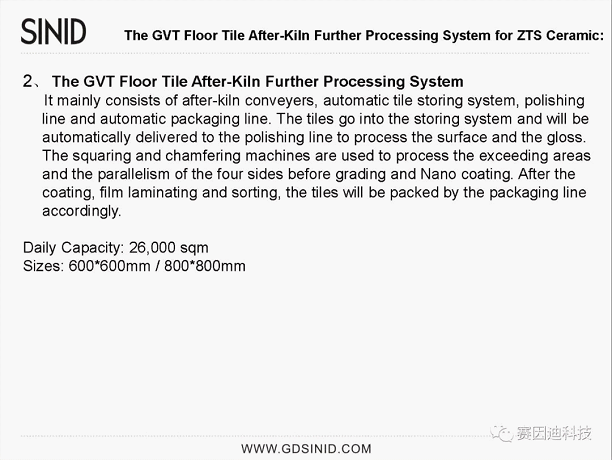 The facilities cover from the tile visually recognition system after kiln, automatic storing system, further processing (squaring &polishing) system, quality inspecting system to automatic packaging system and etc. 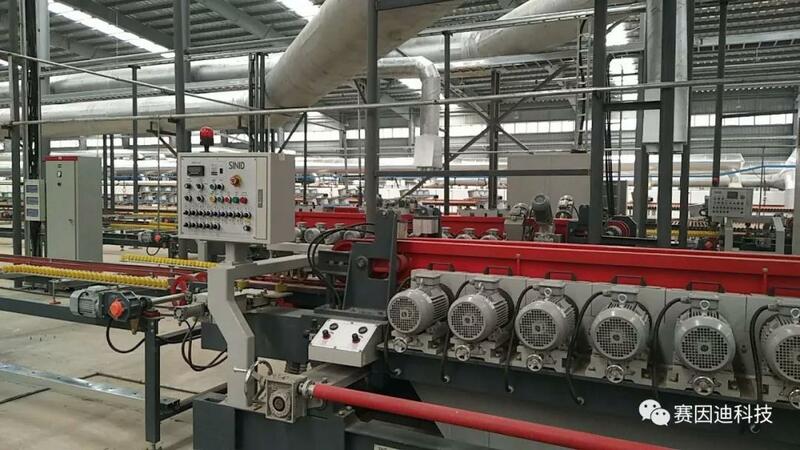 The high standard automated intelligent manufacturing solution by Sinid for the ZTS Ceramic project has helped ZTS ceramic build up the high-level manufacturing standard for the industry in Northwest China. 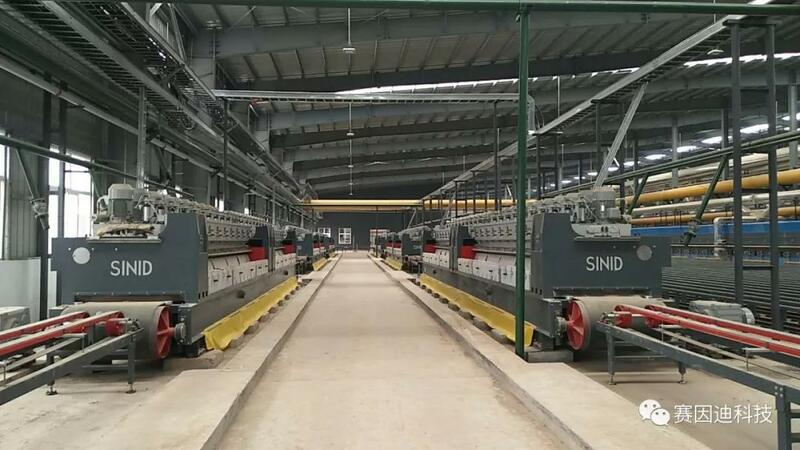 Meanwhile, it alsorealizes Sinid’s mission: to offer customers with digital, informational technics and facilities and to create the intelligent high efficiency and eco-friendly manufacturing lines of flexibility. ZTS’s choice shows its acknowledgement to Sinid for its technology and facilities. Champion，XIEJIN，XINRUIJING, ZHONGPENG, HONGXIN, ARROW, Pengfei have been cooperating with Sinid. 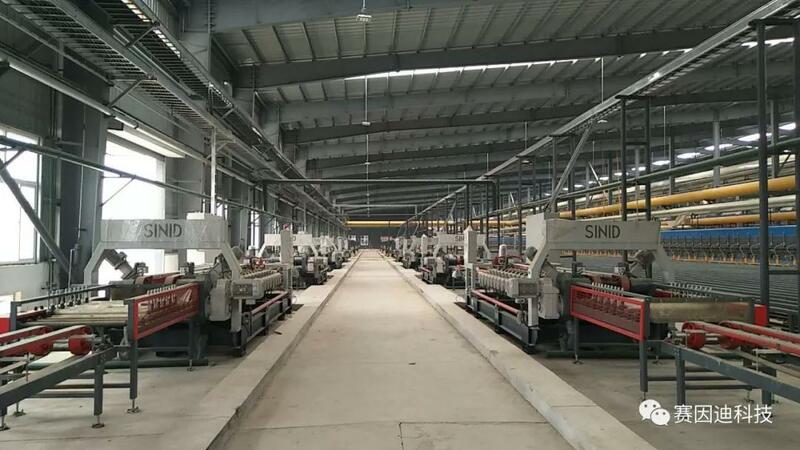 In the future, Sinid will develop more facilities and services of excellent quality to customers around the world. 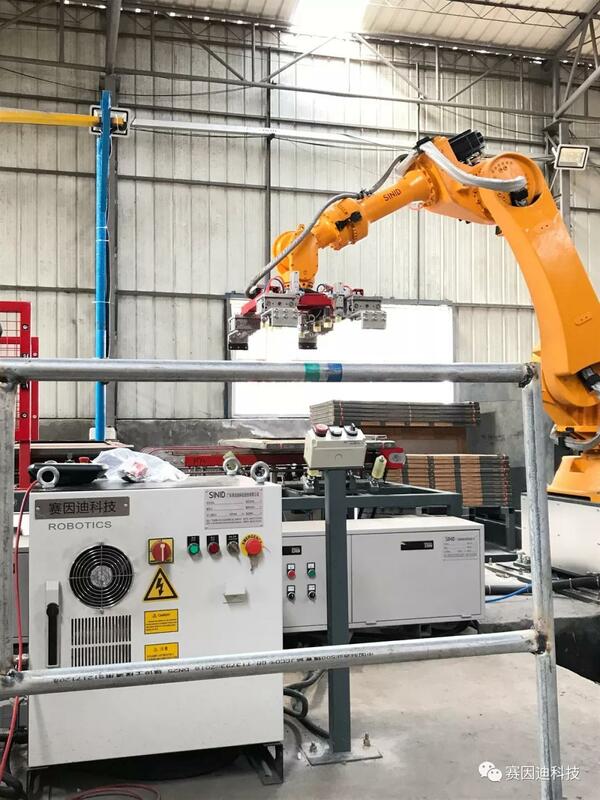 The above is the newly-developed multiple-size packaging line and 6-axis palletizing robot.